International Burlesque Queen Immodesty Blaize is quickly becoming a national treasure; Recently dubbed ‘The Goddess’, her sophisticated performances and exquisite ‘bombshell’ curves have dazzled audiences from London to Vegas. Her shows feature some of the most legendary and stunning centrepieces in the world; her enormous glittering vintage telephone, her eight foot high rococo rocking horse, and her crystal encrusted bath…… As well as her legendary performances, Immodesty has performed with the likes of Goldfrapp and Marc Almond, starred in her own West End show, the EMI documentary ‘Burlesque Undressed’, and is the author of of 2 Bonkbuster novels, ‘Tease’ and ‘Ambition’. 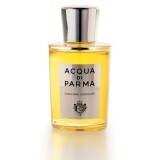 Acqua di Parma is my favourite fragrance, it’s a classic, I don’t think it’s essential for men to wear fragrance all the time though as long as they are clean. In fact it can be nice, if you are planning on being up close, to be able to smell their skin. There’s a lot to be said for subtlety and an air of effortlessness. Wearing too much hair product, with the exception of vintage styles ( and they need carrying off well) Also a tan that is too dark can look leathery and ageing, rather than exotic. Top turn offs are dirty nails or stained teeth. How could most guys improve the way they look by grooming? Drink plenty of water and find a good moisturiser that suits your skin. Keep eyebrows neat and find a good eye cream if you get eye bags after a late night. Treat yourself to a cut throat shave at the barbers once in a while. 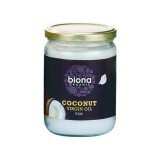 Extra virgin coconut oil used once a week on the face can work wonders. It’s not about vanity or being effeminate, put simply it means care and maintenance, and taking pride in your appearance. Some guys that look good to me are: John Hamm. 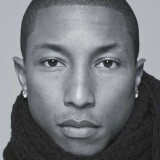 Pharell Williams. Al Pacino. Daniel Craig. 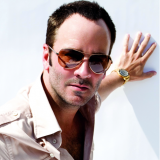 and Tom Ford.